by support; giving more input assistance to certain pupils within the group. by outcome; devising and setting open-ended tasks, allowing pupil to respond at different levels. 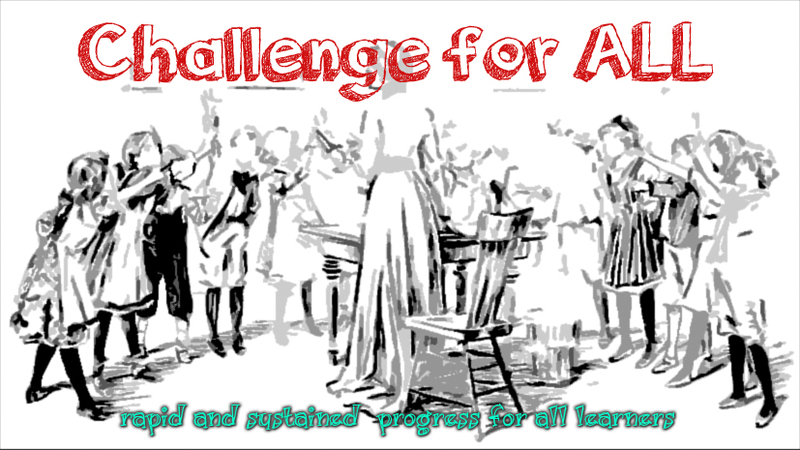 by task; setting different tasks for pupils of different abilities. Obviously the quality and interpretation of pupil data is an essential starting point to inform and underpin the above aspects effectively. 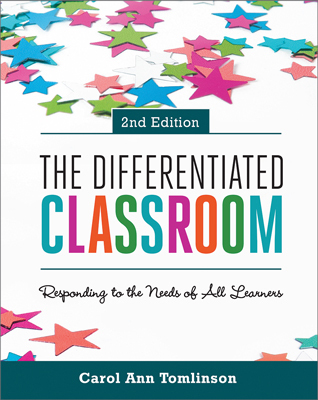 With an increasing emphasis on the more ‘able’ and those with specific educational needs, how differentiation is pitched is crucial in ensuring the hidden ‘middle’ are/are not challenged in their learning. Hence the shift in language to ‘Challenge For All’. Therefore I pose the question: when planning a lesson or series of learning episodes do you; a) construct learning from the middle ability band upwards and downwards? or b) pitch learning above the highest ability and distill down? Your answer to this two-part question could be the difference when we consider challenge for all learners, one crucial element of the 2015 Framework for School Inspection. So, what’s the point in pitching learning to the top? I would argue through extensive classroom based action research I’ve personally undertaken, pitching learning to the top makes it easier for me to scaffold up and distill content down, thus meeting the diverse learning needs of my students posing a higher level of challenge. I believe the reason for this is that I have a clear end point, so my planning for learning is shaped more around a flight path model as opposed to a middle up/down approach. A quite compelling conclusion to the report goes on to explain that effective differentiation tailored to student ability “clearly has the potential to create environments that maximise learning and the potential for success for all students, regardless of skill level or background”. To conclude, my personal view is not to over complicate Challenge for all, but remember pitch to the top and distill content down, scaffolding up, this dimension is the critical element, otherwise we may be creating potentially engaging learning experiences for some students that is inaccessible to them, therefore having the adverse effect, significantly limiting their progress. In a nutshell, challenge for all should be teacher based and student centered. « Teach Meet Devon – The Power of Sharing….